No successful entrepreneur, introverted or otherwise, got where they are by themselves. Yet, asking for help makes many of us introverts uncomfortable. We make assumptions about how a would-be mentor or collaborator might respond to a request for support—and talk ourselves out of reaching out. How can we shift that mindset and get better at asking for help? LaTisha Styles is a well-known millennial lifestyle and money expert dedicated to helping her clients take an existing skill and turn it into a thriving online business. Her signature programs support coaches in building an online presence and growing a robust client portfolio. LaTisha’s work has been featured in Forbes, Fast Company and Business Insider, among many other publications. Today, LaTisha shares her struggle with reaching out for help, explaining how that resistance forced her back into a 9 to 5. She describes the introvert-friendly system she developed to seek out new clients, the business model she uses to generate revenue through coaching and courses, and the way she employs Facebook and YouTube ads to drive traffic to her site. LaTisha speaks to her superpower around recognizing what’s NOT being said in a sales call and offers her take on marketing with integrity, discussing how to get clear on who you can help and turn away clients who are not a good fit. Listen in for LaTisha’s insight into why introverts are uncomfortable asking for help and learn how she is using journaling and meditation to get out of her head and become her best self! How LaTisha got her start as a personal finance blogger. How resisting help forced LaTisha back into the workforce. 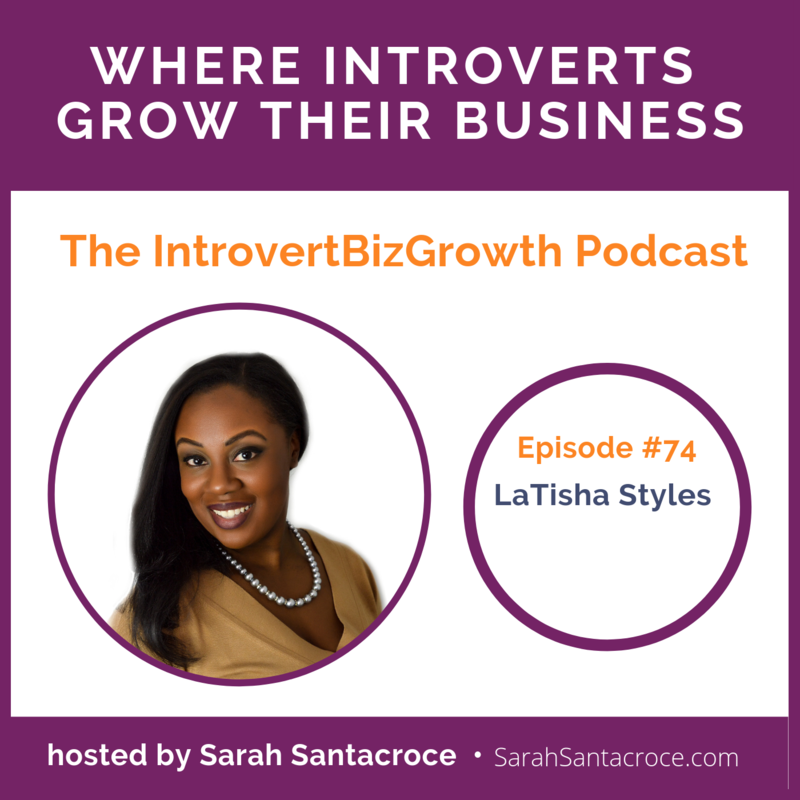 LaTisha’s introvert-friendly system of finding new clients. The benefits of LaTisha’s FAQ video sales presentation. How LaTisha generates revenue via coaching and courses. How LaTisha uses Facebook and YouTube to drive traffic to her site. LaTisha’s ability to recognize what’s NOT being said in a sales call. LaTisha’s ongoing challenge around reaching out for help. The current trend toward collaboration among entrepreneurs. How LaTisha leverages meditation to quiet internal chatter. How Tapping into Wealth helped LaTisha become her best self. The significance of getting clear on who you can help.